I love quick pickles. If you’ve ever made real pickles you know it involves a lot of work but the quick pickle is a thing of beauty. They’re ready in about 24 hours, they involve zero fermenting and zero canning. Sweet and Spicy Quick Pickles make great gifts too, so maybe double the batch and share with friends? These are the pickles I took to Palmer Food Swap in June. If you want to get in on the fun of Palmer Food Swap and get the recipes earlier than everyone else be sure to sign up for my newsletter where I share my swap recipes first. I send one newsletter a month, around the first, so feel free to sign up here. Each newsletter contains my last swap recipe, several seasonal recipes, plus news and bits about life in Alaska. If you’re interested in seeing what a swap looks like check out my post from yesterday, it has a nice video where I walk through Palmer Food Swap before we start swapping. 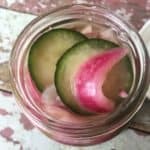 Have you ever made real fermented pickles? They’re delicious but SO much work, seriously. And then if they don’t turn out or they go bad you’ve lost all your produce AND you don’t have pickles. Or have you canned pickles with brines and salts and pressure canning? Yes, we love them too but seriously again so much work. These Sweet and Spicy Quick Pickles give you pickles in 24 hours and take less than 20 minutes to make. You won’t be pulling them out of your pantry all winter long but you can whip up endless batches of them as long as you can get your hands on fresh cukes.  And that’s the trick, in Alaska anyway, as many fresh cukes as you can get. The quick pickle is a thing of beauty. They're ready in about 24 hours, they involve zero fermenting and zero canning and last for almost a week in the fridge! I love love love pickles, especially homemade! These look yummy!